It’s Friday and you’ve probably had a long week and a long day. Maybe you're ready to call it a week or you're bogged down in how much work you're going to take home for the weekend. Either way, NOW is the perfect time to experience gratitude. It’s the ultimate win/win: we feel great when we experience gratitude and, when we share it, other people feel great too. If you’re a team leader, valuing your team is an essential part of your job; our teams do their best when they know they’re valued and get regular feedback (and so do we). But if you’re human, you know it’s often more natural to focus on what needs to be done than on the progress we make each day and the qualities each person brings to the group. Valuing people we work with isn’t just for team leaders. As team members, sometimes it’s easy to think we should be thanked but not give thanks. That's worth rethinking because work is a team sport and our successes – and happiness – are intertwined. 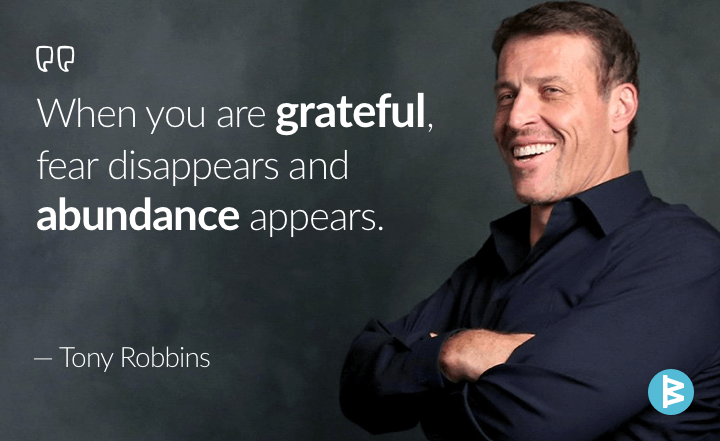 And feeling gratitude is an essential ingredient in happiness. End your week and your team’s on a high note with simple actions. 1. Take the time to identify and celebrate successes with your team. 2. Pause and consider the endearing qualities of each person on the team. What are the unique business contributions or human contributions of each person individually? Set aside a few minutes before you leave the office to think about each person for a full ninety seconds to bring that contribution into focus. Now, enjoy the sensation of appreciation and affection that you get from this simple exercise. Repeat it for each member of your group; notice how your stress level drops and your happiness level increases as you progress. When you’ve covered everyone, you’ll be renewed and relaxed. 3. Now tell each person that you appreciate him or her. Take 15 seconds more and send a brief note to each person with your appreciation. It can be very specific or a general comment like “Just wanted you to know how much I appreciate your contributions to the team this week and every week.” Whether you send it via email, chat or you use a nifty WorkBoard badge, it will feel at least as good to write as to receive! It's an excellent way to close the day. Let’s redefine what’s so great about Fridays. Need a little more success and progress Monday through Friday to experience even more gratitude? Check out WorkBoard, a business velocity app for managers and their teams to share goals, align their efforts, execute on priorities, eliminate status meetings and provide better feedback. More achievement, more gratitude.